What is the Parity Signer? 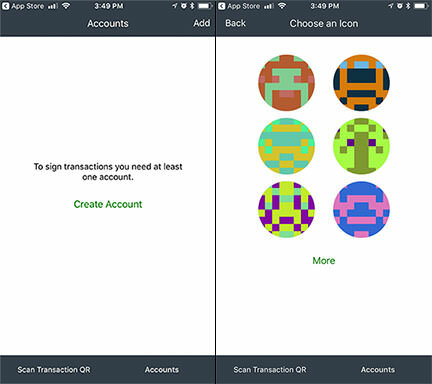 Parity Signer, available for iOS and Android, is an offline mobile app that securely generates and stores your private keys. Most mobile wallets connect to the internet, but Parity Signer gives you one extra layer of security: it never connects to the internet and can be used air-gapped. Parity Signer has been the perfect companion with Parity Wallet, allowing users to create “watch-only” accounts on their networked computers while keeping their keys safer in the open-source mobile app. 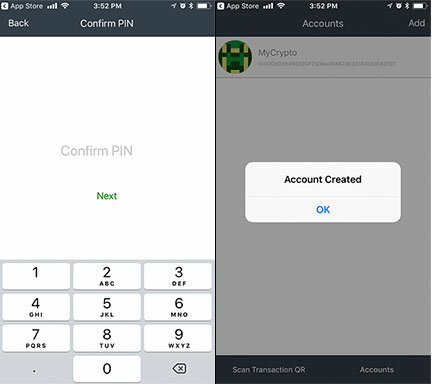 But now, you can also use MyCrypto Beta to send transactions from your Parity Signer accounts without having to run your own Parity node. Currently, the app is only available for iOS. An "unstable" version is still in development on the Google Play Store. Your Recovery Phrase and Public Address will also be generated. After you type in your account name, make sure your back up your recovery phrase. Click here for more info on how to backup and store your recovery phrase. 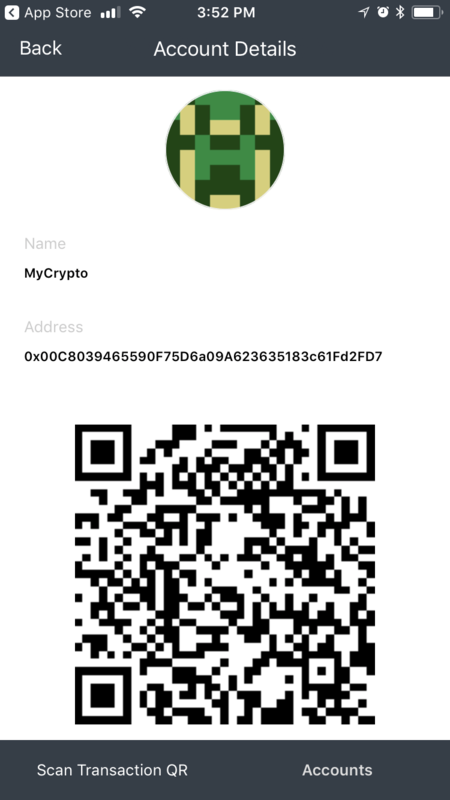 This public address and QR code can be used to send and receive Eth. You can create multiple accounts by clicking on the "Add" button in the top right hand corner. 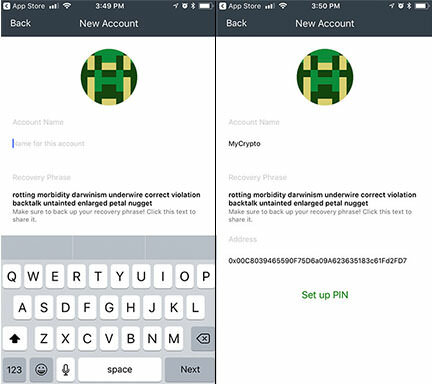 If you already have a an account created in Parity Signer Mobile App or Parity Wallet (Desktop), you can recover your account by following the directions below. Click on "Create Account" or "Add" in the top right-hand corner. Replace the given recovery phrase manually with the one from the account you want to recover. Set up a pin code. 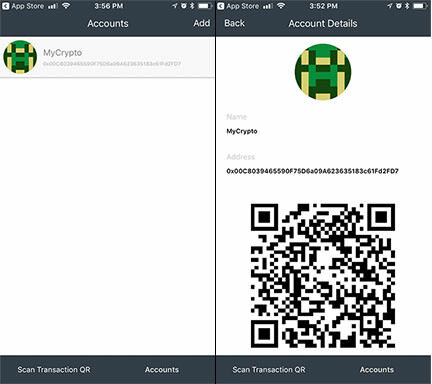 Now let's access your account from your phone using MyCrypto.com! 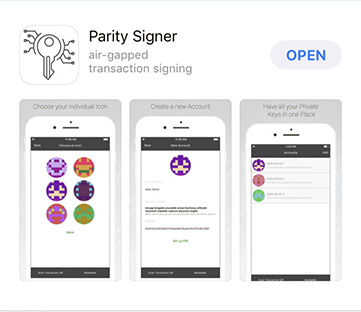 Open the Parity Signer App on your phone. When you click on the Parity Signer button on MyCrypto.com's homepage, it will bring you to screen where you can scan your QR code. Make sure your camera on your PC/Mac is on. Position the QR code on your phone within the camera lines as presented on your PC/Mac. Check to make sure your account details match up. 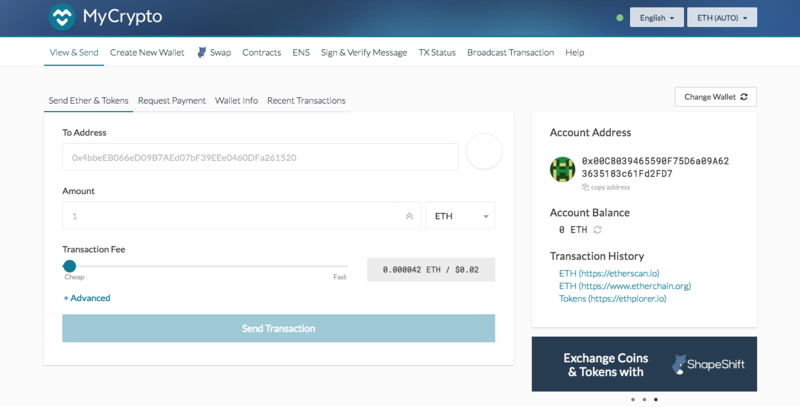 From this screen you can send transactions. NOTE: if you leave this screen, you will be logged out of your Parity address. Enter the amount and address you would like to send and click "Send Transaction"
Present your signed transaction QR code to MyCrypto to confirm and send! Make sure to first do a trial run with a small amount of ether before sending larger amounts.